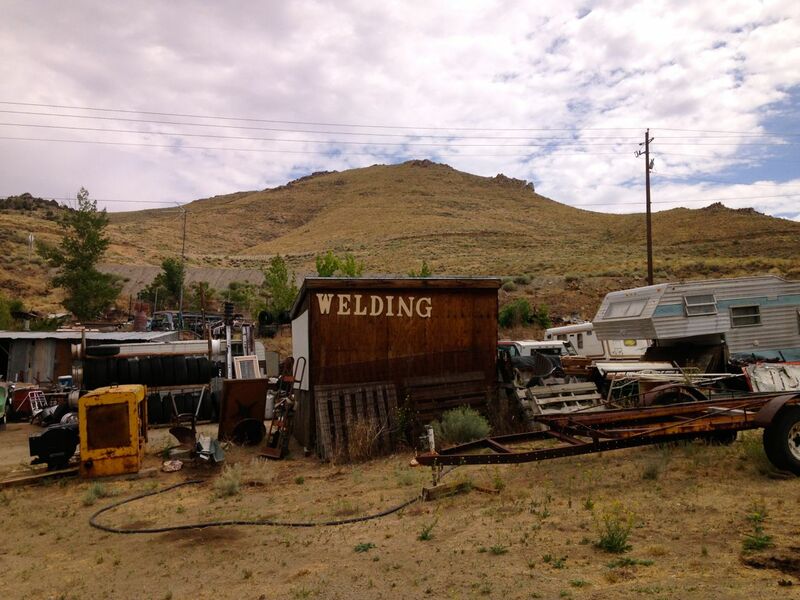 Ely, NV to Reno, NV – First, I had a flat tire in Ely, NV, where there are no coffee shops. I woke up at 5:30am, determined to get within nine hours of Mount Vernon, WA, by dark. My route was TBD (to be determined) but turned out to be “to be delayed”. My back drivers side tire was down to 15psi. The other tires were at 37. I drove slowly into town, hoping for air, amazed at the rain and determined to find coffee. 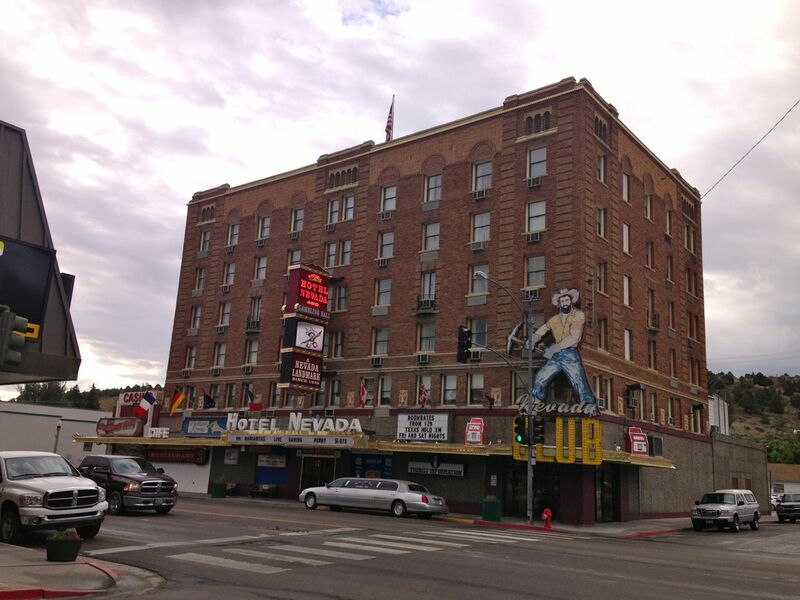 At the Historic Hotel Nevada & Gambling Hall (built in 1929 during Prohibition and still open 24/7), I bought a cup of Folgers coffee for $2.44. Talk about making a Washington gal feel lonely, but the waitress told me Gale’s Tire & Oil was the best place for a tire repair. I pulled into the shop five minutes to eight and an older woman ushered me to the one open bay. All the others were full of used tires. The two mechanics wouldn’t make eye contact with me. The young one wore jeans barely hiked over his skinny hips and a t-shirt that was clean but still not white. The older man wore a black t-shirt and camo pants. The older gentleman (I’ll give him that) asked the younger one if he was “done already?” before he even had the tire off. “What? !” Had I missed something? He pointed to a screw in my tire and simply repeated himself: “Looks like you got screwed and didn’t even get to enjoy it.” He grinned at his joke and nodded. 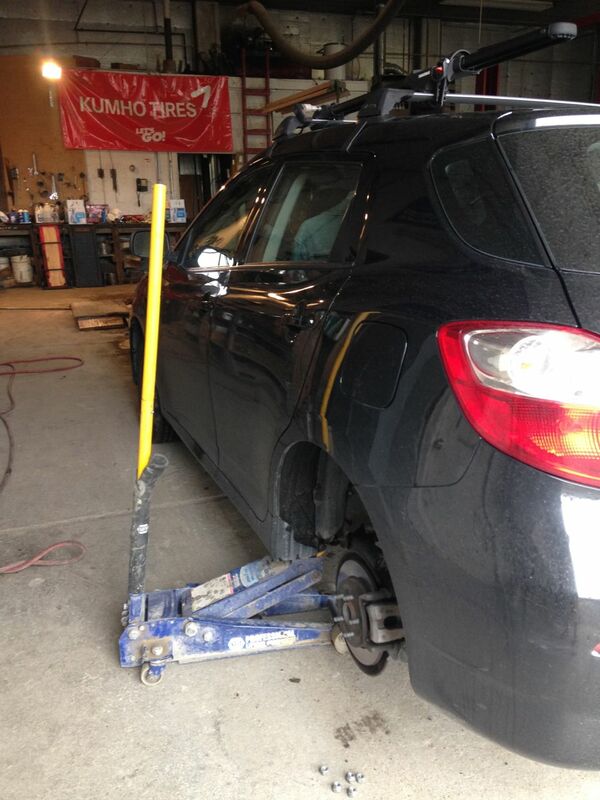 By 8:15am, they’d charged me $16 and I was on the road with all four tires at 37psi. The coffee did nothing. Siri wouldn’t answer me when I said, “Find me a Starbucks”. Nothing. Okay. “Find me a coffee shop.” Nothing. I gave up and started my first day down the loneliest road, Route 50, in the desert, in the rain. In fact, it is a lonely road, and not for the faint of heart…the only people who drive this road are survivors, the toughest of tough, and the rest of you are just pansies. 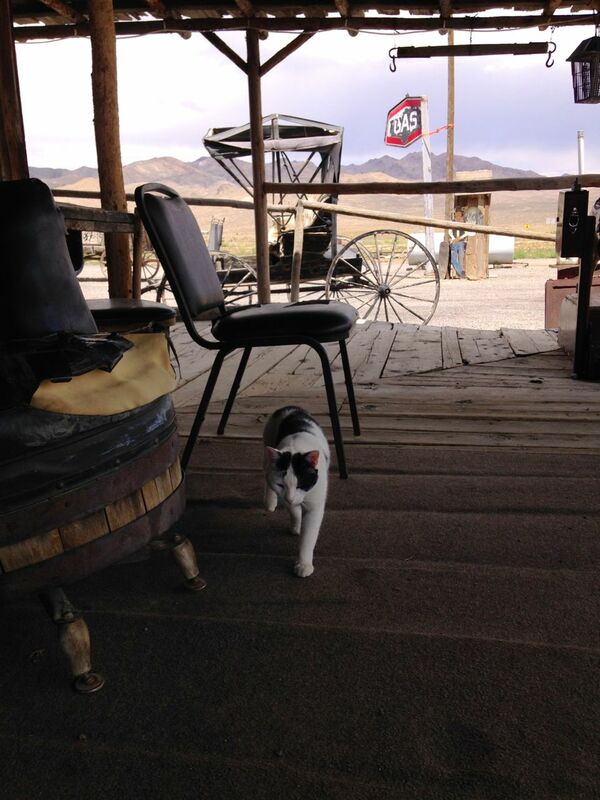 The Nevada Commission on Tourism developed a survival guide (click here) and began to market it as “The Loneliest Road” with its unique (and far-between) items of interest as a challenge. Tell someone they’re not tough enough to do something and instantly you have a market (trust me, I know). So there I was. The sun came out in Eureka, NV, a town self-dubbed as the “friendliest town on the loneliest road.” I noticed a small yellow building mimicking a coffee stand – the Roost – Eureka! I pulled in and, in my excitement, parked perpendicular to the drive-thru. “Oh you’re fine,” said the woman, Carla, from the window. “Do you have real coffee?” I asked (begged). I sure did, filled up, and tipped her. 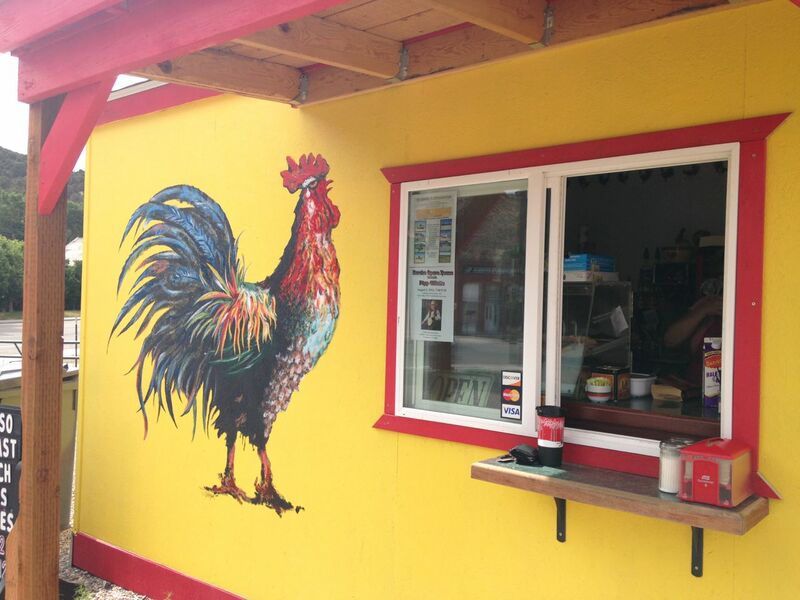 I told her I believed it and admired the beautiful rooster painted on the side of her building. I did know those people – we both held some admiration for artist-types who follow the wind. Carla declined a picture of her with the stand. I told her I would write about this amazing coffeepot of gold and set off back in the rain (again) to Austin, NV. An older woman in a nightgown came out of a little single-wide off to the left. She nodded and I snapped a shot with her glaring at me. An older man came out behind her, mostly clothed. He asked what I was doing. “You already did,” he grunted and threw up his hand in disgust. Well, okay then. I hollered “thanks” and drove to the gas station to see if I should cut north here or continue to Reno. The woman behind the counter didn’t know where Washington was so I put in a call to my mom – she’s the travel agent, my dad is the emergency contact. You might really like it, my mom advised. I decided to keep driving. Loneliest Road or bust. Back on the road, my thoughts rambled. 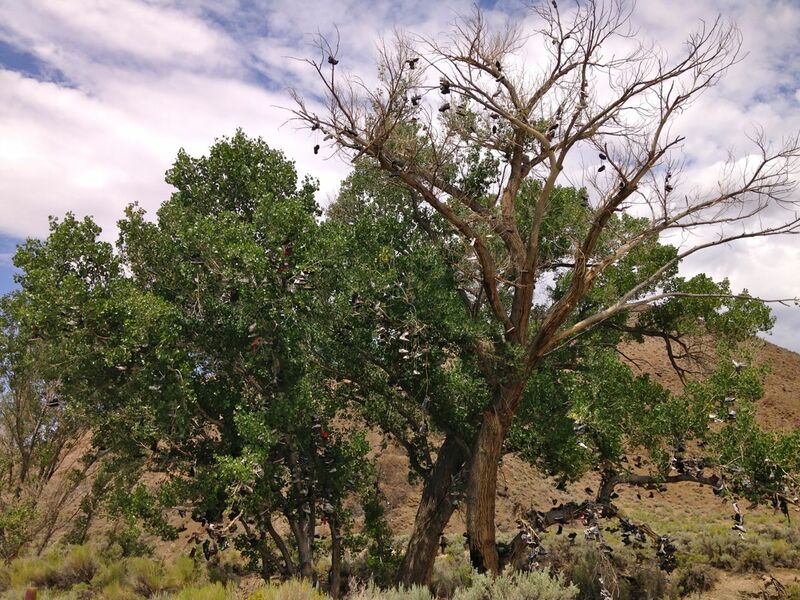 I passed a cottonwood tree decorated with hundreds of shoes. Is this what people in the desert do to have a good time? I wondered, considering what it would be like to be stranded in the desert. Maybe I’d find a stray dog. Through the dry lakebeds, the white sand was so bright that I had to wear sunglasses. One sign said, “US Military Centroid Facility” and pointed north. The most I could find later was that Dixie Valley, where I was, had been part of ultra high-tech mainframe that controlled aircraft and where they tested bombs but this could be from a conspiracy website. It does seem true that, in the 1970s, locals were pissed about jets breaking the sound barrier in the valley and shattering their windows. The next sign was for a Navy B17 base and then “Caution: Low Flying Aircraft”. My radio was on scan and caught a signal for Nevada NPR: “50% of Nevadans have been sent to collections at least once in their lifetime,” said the voice and then it was gone. On my way out of Middlegate (one of the original Pony Express stops), I found myself behind a punked-out minivan. Across the back in huge letters, someone had stenciled: Genitalia – it’s not an Italian airlines. (I just write this stuff down…) From their speed, I’m sure there was more on board than just people. I passed them just before a sign stating, “Earthquake Faults” – curious but I didn’t want to have to pass the minivan later if I fell behind. I ditched them in the wilderness and finally meandered into Fallon, NV, an agriculture center smelling of clover, jasmine and hay. A few more miles to Fernley and I’d completed the loneliest road in America. I thought about how to describe the vastness but it was like trying to describe God.